With a certain degree of confidence, I can say that two of the most popular and internationally recognised Mexican drinks are tequila and mezcal, their role in the cultural construct about Mexican gastronomy has been key to the idea that fiery Mexican food must always be paired with throat burning liquors, after even Elvis Presley came and drank tequila shots and cocktails like a sailor during the golden years of Acapulco Bay when it was as the most exclusive resort for international movie stars who know maybe this was the curse and blessing that created a long lasting cultural cliché. The consumption of spirits in Mexico has a fascinating cultural history because they practically didn’t exist before the Spanish conquest in 1521 and the few alcoholic beverages that were available were part of highly controlled religious rituals and typically were neither sold nor consumed freely. But the Spaniards who hadn’t had a problem with abundant secular drinking made indigenous fermented drinks and newly added brewed spirits available to purchase and enjoy for anyone who could afford them, this had a deep impact in the new colonial society in which indigenous people had to go through a phase of adapting creating a new relationship with this situation, but they reached a middle ground in which they attributed mystical connections to drinks like tequila and mezcal, an they began using them for spiritual cleanses, rituals, and as part of offers to saints, to this day these drinks have a place at many Day of the dead altars, because is already annoying to be dead no need to be deprived of some booze right? A popular saying exemplifies how distilled spirits mark all sorts of occasions: For all evil mezcal and for all good mezcal too! I’m sure many of you have heard, seen and even enjoyed tequila and mezcal on many occasions but do you know what’s difference between them? Is it the taste? the colour? The flavour? Turns out that in Mexico Mezcal is name given name to the category of all agave-based spirits, this technically makes tequila a type of mezcal, the confusion begins with the fact that the word “mezcal” is also given to a specific spirit. There’s been a long ongoing debate about the origins of mezcales, specifically because the technology used to obtain them is commonly assumed to be a European import that was introduced after the conquest of Mexico, after all the use of metal alloys to build kettles, fermenting units, funnels and pipes was practically unheard of for pre-Columbian tribes. A beautifully illustrated document from the 16th C. compiled by Fray Bernardino de Sahagun called the “Florentine codex” is one of the most compelling sources of information about life, culture, traditions and even economy during the complex period of colonial Mexico, in one of the books that comprise this codex there are mentions of distilled mezcales in the western valleys of Mexico using European technology, the indigenous name for the type of agave that was used is “mexcalmetl” which is probably why the Spanish used a derived word to call the distilled drink mezcal, which is one of the many agroindustries that started in the 16th century and still continues to thrive to this day. There is a place where the earth seems as blue as the sky, and the air is thick with sweet and smoky notes of barbecued agave. In the dramatic western planes of Mexico, the state of Jalisco is home to the little romantic town of Tequila which is the undisputed capital of the nation’s most loved spirit, but this is just one of the five tequila producing regions, other states are Nayarit in the Pacific coast, Guanajuato, Michoacán and Tamaulipas, all of them grow the beautiful agave tequilana also known as Blue Agave, that thrives in hot sandy soils, the heart of the plant or pineapple as it is called can reach a weight between 40 and 90 kilos. 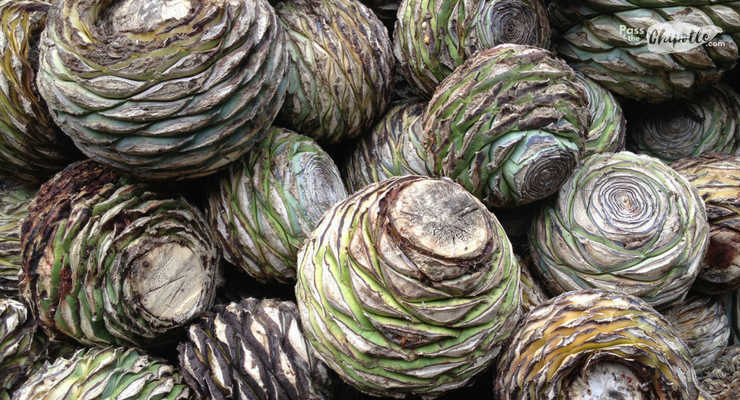 Unlike the pulque production that requires a slow extraction and fermentation of the sap from other varieties of agave; mezcales such as tequila require cooking the actual heart of the plant and to do this, the sharp long branches are cut off by a professional known as Jimador who harvests and cleans the body or “pineapple” as it is traditionally called, then it is usually chopped and barbecued in rustic or industrial ovens, then comes the juicing of the cooked plant to extract the all the sap that has a strong, deep, herbal, bitter and smoky flavour which is quite undrinkable at this stage, next a long boiling process followed by fermenting, distilling and filtering. Although the final product is an extremely young tequila it can be consumed at your own peril and only recommended if you have a sailor’s throat, most types of tequila are aged before and after bottling. Which Tequila is for You? 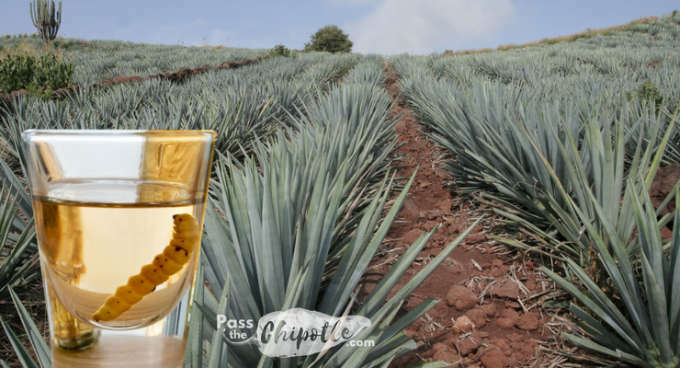 White tequila is the strongest, it is sharp and barely aged, has a strong whiplash after drinking it, it is practically crystal clear and is the most commonly used to prepare cocktails. Extra añejo or heritage tequilas that have been aged for more than nine years are not only alarmingly more expensive but they tend to become milder, with a softer taste and they can even develop sweet notes. Although tequila is commonly paired with rich, piquant and flavourful Mexican dishes, you can always experiment with your own pairings and of course, appreciate it on its own. Now let’s pause for a second and dig deeper into the history of the use of this wonderful agaves in ancient Mexico, turns out that this highly versatile plant was used quite effectively by the indigenous people: the spines were often used as needles, the plant’s fibres provided strong threads to weave all sorts of bags and sacks, sandals and even clothes, the sap was used as a sweetening syrup, the pulp was used to make paper and the discarded parts of the plant were dried and used as fuel but it didn’t end there as the ashes which are an excellent antiseptic were used to treat exposed wounds and even clean their teeth. And now a bit of Mezcal. The regions that produce mezcal are much bigger than those which produce tequila, there are nearly 40 different cultivars of agave mezcalero, and some states like Guanajuato share the production of both spirits, the arid deserts of Durango, famous for its many scorpions, Tamaulipas, Zacatecas and Puebla they all have a relatively small but appreciated production of artisan mezcales, but certainly Guerrero and Oaxaca are the most famous producers. Mezcal has a more labour intensive artisan production than that of tequila, the hearts or pineapples from the agaves are harvested and cleaned in a similar way for making tequila, but they are cooked whole and often in hole barbecues covered with earth, then they are chopped and ground in a mule- powered mill, the rest of the process doesn’t differ much from tequila, which involves boiling, distilling and filtering. The many varieties of mezcal differ in the type of agave that it is used, cooking times for the pineapple, and the aging process, but mezcales have an important distinction from tequila and that is that they are often infused with different ingredients to add flavours, some, for example, have honey, orange peel, aniseed or cinnamon, and in the case of Oaxaca, there is a type of mezcal that is distilled with chicken or turkey breasts and is not uncommon to also add insects or animals to the mezcal when bottling it, these can be agave worms, scorpions, and even snakes. Mezcal is often served with sweet orange wedges sprinkled with worm and chili salt while tequila, on the other hand, is served with lime and salt. There is a huge variety of recipes to prepare cocktails with tequila or mezcal but if you are curious to understand and learn to appreciate these drinks it is well worth trying them on their own, drink them slowly and let this grand spirits speak to you, Salud! This story is featured on Episode 7 of Pass the Chipotle Podcast , a show dedicated to exploring the edible treasures of Mexico, written and produced by Rocio Carvajal.